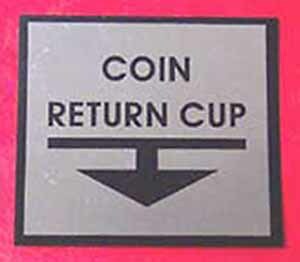 COIN RETURN CUP WITH ARROW for early Ideal cast aluminum coin mech. Very shiny! Vinyl decal - easy to apply. Decal measures 2-11/16 high x 3 wide. 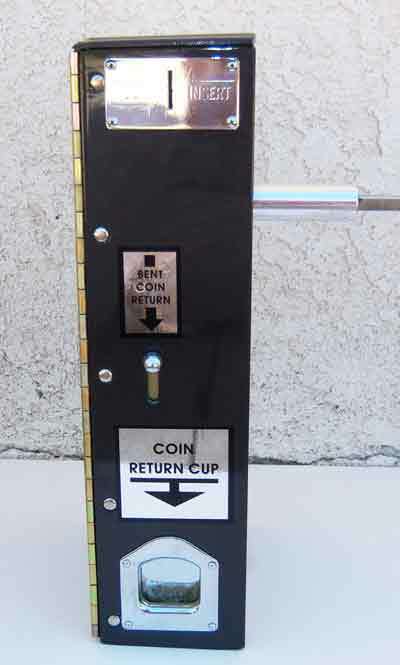 This decal is found on what we call the "Frankenstein" coin mechanism.